This gift basket is perfect for all kinds of life's celebrations including: Birthday, Wedding, Bridal Shower, Anniversary, New Home, Retirement, Valentine's Day, Congratulations, Thank You and many more. Includes one bottle of Red or White Wine, 2 Stainless Steel Wine Glasses, Crispy Thin Sesame Crackers, Bamboo Wine Bottle Design Cheese Board, Bamboo Cheese Knife, Wine Themed Cocktail Napkins, Dark Icewine Chocolates, Chocolate Fondue Mix, Castello Brie Cheese, Mediterranean Snack Olives, and a Feather Design Bottle Topper. *Food assortment may vary. Presented in a leather wrapped wooden trunk. You can select red or white wine from the drop down menu and we will select a popular wine for your gift basket; we usually select a BC or California Wine. If you want to choose your own wine, just select that option and then provide the name of the wine in the area provided. Additional fees may apply depending on the wine cost. The wine shown in the catalogue photo is for presentation purposes only; we do not stock or sell wine or alcohol on our premises. 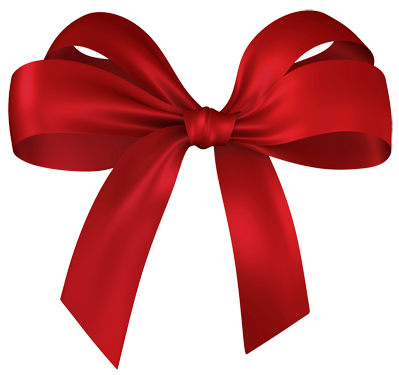 We purchase the products for your gift basket when you order. All of our gift baskets are wrapped in cello and decorated prior to shipping or delivery. We also include your personal message on the enclosure card. 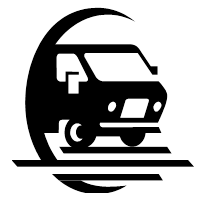 We offer local delivery within Fort St. John. 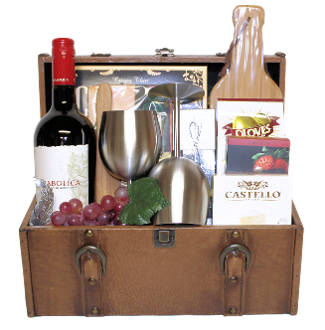 View other wine gift baskets that we offer at: Wine Gift Baskets.